Aurora Wedding and Events Hire supply decorations for your big day. Including chair covers and sashes, bouncy castles, candy cart and Love letters to name a few. Contact us to see how we can help you. Plan Me Perfect’s venue decoration services include: Our put up and take down service, table decorations, floristry, lighting, prop hire, stationery design (including menu’s and table plans) and inspiration mood boards. Whether is be a party, wedding, christening or any other type of event, we can provide chair covers, table centrepieces and much more to decorate and transform your venue. Venue styling and party hire based in Hull and covering Yorkshire. All things wedding, personalised gifts & lovely shabby chic decor accessories. We specialise in decor accessories, gifts & lots of other personalised bits for all occassions. Pure white LED dance floor hire. White Starlit Dance Floor will transform any venue or hall into spectacular scene and make your first dance photos look astonishing! I have Stunning Vintage Birdcages to Hire for your wedding Day. I had these for my wedding and was so delighted on the comments. We offer the following services... Professional DJ Hire, LED Dance Floors, Chair Covers & Bows and Hot & Cold Buffets in Scotland. Contact us today for a free quote. Led Starlight Dance floor hire and decorations in the Yorkshire area. We are a family run business that strives to give you the best decorations for your special day. We are an online boutique offering pretty and affordable accessories to brides. We have everything from venue décor to bridal tiaras. Follow us on Twitter for special offers. Event Decor Group supply table linen, chair covers and centrepieces, in a range of designs and colours for your special day. Wedding Planning service. We can theme, style and deliver your event for any special occasion. We also offer hire of all our items - we stock everything from vintage to sparkles! We have a beautiful cast iron Royal Mail white post box in white with siler letters for hire for your guests to leave their cards of well wishes. We offer a bespoke venue dressing service, offering elegant draping and fairy lighting, creating beautiful spaces for every venue. Be Bright Designers create affordable personalised light up lettering for weddings and other special occasions. We can make of your wedding a dream come true thanks to our expertise along with high creativity and commitment in every wedding we help planning. What could be more beautiful for a wedding vintage teapots, cups and saucers, cake stands? Bring a touch of vintage class by hiring out this gorgeous collection. A unique styling & prop hire company for weddings & events. We offer props, decor, chocolate fountains, sweet bureau, 7ft Photoframe, Silk flower walls, signage, floristry & more. Chair covers and sashes, table decorations,flowers and balloons with table favours, wishing tree, sweet trolley and bunting all to match your colour scheme to give the Wow factor. Supplier of wedding and events decorations inc chair covers, centrepieces, ice cream trikes, cakes, wedding arches, ice sculptures and much more. Real petal confetti, choose colours to match your scheme. Accepted as non littering and Eco friendly. Quality petals, hand picked & graded, wedding confetti to compliment your day. We have a large selection of Wedding Chalkboards perfect for any style of Wedding seating plans, reception, dance floor or menu. Vintage china hire and accessories serving the North West.Items to hire include birdcages,cake stands,vintage tablecloths.Handmade napkins,table runners and bunting made to order. Glam Finish provide glamorous wedding and party decorations for sale and hire so your day can be the glamorous event in the calendar. We have a wide range of items to hire, from chair covers to centrepieces and a starlight backdrop. We can cater for any event, whether it be a lavish affair or a small gathering. Water Beads available in 13 colours to suit your occasion. Create effective and beautiful displays around your venue on your special day. ChiavariChairs.com, located in Philadelphia PA, manufactures, sells and rents chiavari chairs and event furniture. Whatever the occasion we can provide table runners, table swags, table centerpieces, chair covers, sashes and much more. The items are designed, styled, supplied and fitted. Hire our gorgeous Rustic Wooden Post Box ​Whether your event theme is rustic, vintage or shabby chic this beautiful post box is the perfect edition to your decor. Party Balloons Norwich was established in 2005 with one mission in mind: To bring a dedicated & high quality Party Balloon Decorating Service to Norwich venues. My wedding hire supply wedding decor & props including glassware, table centres, props, PA & lighting. We are your 'one stop' Wedding Shop, supplying bespoke handmade Stationery & complimenting jewellery, tiaras, venue dressing, chair covers, linen hire etc. Let us help you make your day 'Extra Special'. Numerous References. We have for HIRE an iconic piece of history your very own cast iron ER wedding day post box. Perfect for wedding days or a special event. Postbox based in Calne. North Wiltshire. Balloon Wishes specialise in venue decor throughout Essex, our services include balloon decor, our chair covering service, ostrich feather and candy centrepieces and our candy buffet. Wedding is a special occasion to celebrate. We offer ready to stick wedding bottle labels. Thanks to the possibility of adding your own text, the label will be unique and personal. Virtual assistant services, party planning, event management and decoration. What's on your cake? Personalised cake toppers, created to be a mini version of you . Individual and unique. Made from polymer clay , a keepsake of your special day . Modern partyware and stylish decorations to help you transform your wedding venue. We offer pretty decorations, tableware, giant balloons, photo props, and wooden wedding signs. Wedding day decorations to hire,chair cover,wedding table centerpieces,everything to make your wedding look amazing! Slinkies Events prides itself on customer satisfaction. We work with you to ensure that all the details for your function are exactly how you imagine them. We are event and wedding decoration specialists founded in the midlands within Coventry where we pride ourselves in the little details and aim to bring a wow factor to your event. We are providers of Mehndi Stages, Wedding Stages, Wedding Decor, Table Decoration, Outdoor Lighting and Marquee Hire. We provide table runners, table swags, table centerpieces, chair covers, sashes and much more. We can design styles to meet your needs and requirements. Limewash Chiavari Chair hire - just £2.20, Trestle tables - just £3.50, 5ft 6" Round tables - just £4.50. Free delivery to Milton Keynes, Oxford, Northampton, Banbury, Aylesbury. Venue Decordation and Wedding party supllies, including chair cover hire, table centrepiece hire, wedding invitations and stationery, wedding favours and table decorations. Picture Perfect Events is a luxury event styling company based in London and caters for weddings and events in the South East. INSPIRING, EXTRAORDINARY, AND TRULY UNFORGETTABLE EVENTS We offer event styling, personalised stationery and a dressing service. Get in touch for a no obligation quote. Balloon Decor have been enhancing venues since 1989. Providing contemporary balloon displays and variety of centerpiece's that can compliment any venue. Why not visit our studio and recieve a free quotation and see our work. Award winning event decoration company based in Essex speciliasing in freestanding wall drapes, ceiling canopies, drapes & swags, mood lighting, backdrops & Starcloth! Occasions By LizR is a professional centrepiece and décor hire company based in Kingston Upon Thames, covering London, Surrey, Sussex, Hampshire, Berkshire and Kent. Personalised printed high-quality double-sided satin ribbon, in 7mm and 10mm widths for Weddings favours and invitations. Essex based wedding, party and event set up team. Bespoke items and innovative ideas to make your special event unique and affordable. Here at The Rustic and Vintage Hire Company we aspire to meet all of your rustic and vintage event needs. We have a wide selection of rustic and vintage items for hire or purchase. We provide Love LED light up Love letters, just over 3ft tall and are a unique look to any wedding.They are a subtle background look ideal for a stage or dance floor presence. Unique Venue Decor company to dress your venue inside & out. To include props, centrepieces backdrops etc . Plus Outdoor Games, Selfie Station . Umbrellas to hire. We are an events company based in Manchester specialising in venue styling and Illuminated large letters hire. Specialising in venue styling, centrepieces & accessories for weddings, birthdays and other celebratory events. Our battery operated candles are ready to switch on whenever you want and we provide batteries in the candles to last for the length of your event. Party People Balloon Company we decorate small to large venues with elegant balloon designs. speacialist in balloon decorations for weddings, special occasions and celebrations. We have beautiful favour boxes & bags along with center pieces, silk flower arrangements & bouquets, cake topper & personalized items. Plus many more items being added every week. Offering an affordable & beautiful balloon decor for your wedding. Covering Bucks, Beds & Hert areas. Visit our website www.letsballoon.co.uk for further details. We look forward to making your wedding day special. Providing quality bespoke bunting for UK hire. The on trend designs are beautiful and unique. With postage included, the fee structure is clear and the hire process simple. Wedding post box hire in Kent. We have replica Royal Mail post boxes, quirky milk churn post boxes, birdcage post boxes and new for autumn, rustic tree stump post boxes. Special Touch Event Hire can provide chair covers, centrepieces, backdrops and much more all at an affordable price. Hire with us for a professional and reliable service. We are an International luxury Events Styling & Management company offering the very best in bespoke venue decoration services and Event Management. We provide reception accessories and elegant details to complete your day. We hire Vintage Birdcages, Tall Martini Glasses, Candleabras and Chair Covers to name a few. Venue Dressing and Co-ordination is also available. Providing an Event Hire & Venue dressing service across the whole of the Northwest of England & West Yorkshire. Specialists in giving your wedding or event the 'WOW' factor! Are you looking for a way to liven up your upcoming event? Balloons are the way to go. choose budgies balloons with a wide range of balloon related services. The Wedding Decoration Shop hires table decoration centrepieces for your wedding, corporate and party events. We also hire Chair Covers, Chair Sashes, decor and Table Runners. A professional venue dressing & event styling company. We offer a bespoke service to all clients, working to create their visual dreams for any occasion. Beautiful White Dove release available for Weddings and Civil Ceremonies.Regardless of what size wedding awaits you,a Dove Release will deliver joy and love to a truly special day. We hire handmade fabric bunting to suit your colour/designs, perfect for weddings, birthdays, fetes, corporate events etc. Top Table and personalised bunting available. Our vision is to provide a one stop shop so that you don’t need to shop around for your wedding supplies and wedding decorations. Established in 1998 we are a family run professional company specialising in Balloons, Balloon Décor & Party Supplies from our Party Store. Our objective is to provide excellent value & service to all our customers. Wedded Bliss is the number one stop for any blushing bride to be, for venue decor, party supplies and homeware and gifts. Welcome to WOW, the perfect place to feel inspired. We offer many bespoke services to make your occasion truly unforgettable including Lighting, Drapes & LED Dancefloors. Venue Stylists from Sheffield. Family run business offering decorative services. Chair Covers, Centrepieces, Drapes/Swags, Table Runners, aisle runners and much more. White pleated and starlight drapes, decor and entertainment equipment for all wedding venues and receptions. Dove Barn offers a beautiful, unique and unusual venue for wedding receptions. Welcome to Sweets Cart, treat your family and friends to an alternative to favours or just to add that special touch to your event. Beautifully handmade chocolate/sweet trees, perfect for an unusual centrepiece or favour! Confectionery can be mixed or match to suit your theme. We are a family run business located in Surrey. We can supply chair covers, sashes, table decorations, balloons, sweet table, a beautiful starlight backdrops and lots more. Hire 4ft Fairground LOVE letters for your special event! The cost of hiring is £150. Free delivery within a 10mile radius of TN21 Thank you & we hope to light up your world soon! Plushy Weddings offer bespoke church / pew bows, petal baskets, bouquets, favours Designed by ourselves making them exclusive to us,these can not be found on the high street. FANTASTIC little shop FANTASTIC prices!! !.Hire and Attire.Center pieces..wedding arch..postal well..candy cart..shoes from £15.00/fasinators from £4.00/bags/jewelry + much more!! Once Upon a table is a professional wedding and event styling & hire service based in Bridgwater, Somerset. We offer affordable event styling and decoration hire packages. Heavenly Divine Decor specializes in wedding, party, and event decorations.We are a company who specialize in what we do best; simply to make ideas and dreams into reality. We specialise in exclusive design wedding post boxes. Our boxes have locks so your guests have a secure place to deposit their cards and monetary gifts. Available to buy or hire. We provide provide professional Wedding Cinematography, Photography & Decor services nationwide, with a personal touch to suit your individual requirements. Funky Muppet can offer beautiful balloons and chair covers for any wedding or party. Chair covers starting from £3.00 per chair and balloons to suit every need and desire. We are a party company based in the Cotswolds, we supply all sorts of beautiful decorations, bunting and stationary perfect to add that finishing touch to your wedding! Creative Cover Hire - Venue Dressing with a Difference. We offer wedding decorations from bespoke chair covers and sashes to specialist wedding lighting tailored to your needs. Let your Love Shine Bright! Our giant illuminated Love Lights add a touch of sparkle to any venue and are the perfect decoration to create a romantic photo opportunity. Enka Events is wedding decoration and event styling business based in Leicestershire.If you looking for a unique and personalized wedding then get in touch with us. Light Up Letters & Wedding Decorations to Hire. A unique range of light up letters, available to hire in various colour combinations. Bespoke venue styling and decorative hire services, based in E.London. Our distinctive style is easily recognisable by its clean, elegant design with creative infusions of colour. Beautiful and unique decorations, favours and stationery as featured in 'Brides' and ' Wedding Ideas' magazines. We provide individually-made accessories for your event. Based on the Berkshire-Surrey-Hampshire border, we offer chair covers, sashes, table runners, table stationery, room decorations, napkin decorations and favours. Providing custom chalkboards, signs, decorations and place settings for your big day. Please get in touch with your requirements and ideas & we can create something unique! We specialise in helping brides find the perfect accessories, from favours & stationery to gifts & venue decorations, many of which can be personalised, to make their day special. Callyboo provides handmade personalised signs to decorate your big day. From Mr&Mrs Surname signs for your top table, to lovehearts containing special messages. Here at Party Balloons 4 You we offer a personal and professional services we supply balloon decoration, wedding flowers, chair covers, starlight backdrop table decorations as well as top table swagging. Let us give you the WOW factor. Our mission is to alleviate as much stress as possible. With your vision, we plan to cater to your every need while reflecting your passions, dreams, and unique personalities. We provide the hire of chair covers, centrepieces, table and venue decorations, balloons, LED uplighting, Royal Mail style postbox, Candy Cart plus much more! Presonalised printed ribbon for favour boxes in a range of colours, personalised mirror favours, personalised ring pillows, wedding car ribbon, hand made gartes, hen night sashes. She's Gott It For Hire! Supplying the most unique and beautiful decorations for your wedding or event. We have an increasingly varied selection of furniture, decorations, centrepieces, lighting and more. Very unique wedding car decoration kits ready to use. Quick delivery from EU. Bespoke styling services adding elegance, detail & beauty to your day. Our focus is on venue styling as well as equipment and prop hire. Love Letter Weddings specialises in hiring out huge 4ft (1.2m) light up LOVE letters to weddings in Manchester, Cheshire, and across North West England. We provide a range of Asian Wedding Services across the Midlands at the most competitive rates. Our services include: Wedding and Mehndi Stage decor, Table Decoration, Outdoor Lighting and Marquee Hire. Did you know Swizzels Matlow make white Wedding Love Hearts which read ‘just married’? You can even have them personalized with your names and wedding date!Perfect Wedding favours. My Creative Event provide venue decoration, wide range of centerpieces and table decoration, moreover we create artificial flower arrangements for our centerpieces. Venue styling and wedding decoration inbcluding chair covers, backdrops, LED starlit dancefloors, mood lighting, centre pieces and much more! Visit our website now for a quote! Your online home for beautiful wedding decorations, favours, disposable eco-tableware & gifts. Filled with ideas and creative inspirations to make your celebration special. "Our Passion is your Perfection" We offer new and unique ideas and can cover all aspects from table entertainment,favours,wedding decorations and gifts for all your wedding party. Angels Wedding & Event Coordination We have packages to fit ALL budgets. We cater to all events & sizes. Stunning Twinkle Backdrop, columns & other decorative Hire. Supplier of personalised luxury wedding post boxes for collecting your cards. Balloons, Event Decoration and Stationery - All personalised to requirement to suit your event and needs. We aim to make your BIG day one to remember. Debonair Venue Styling create unique and individually styled weddings and events from a simple chair cover to a fully styled venue by a creative, imaginative and experienced team. Creative wedding styling in the East Midlands. Bespoke Rustic, boho, tipi style weddings. Wide variety of beautiful glass pebbles, perfect for vases and your wedding table displays. Also a large selection of dinner candles in lots of different colours. Your Professional Helium Balloon Decorating Service In Norwich. We decorate your wedding venue for you with gorgeous balloon arrangements leaving you free to enjoy the day! Glam Bunting hires glamorous quality handmade bunting for hire for any event. All our bunting ranges have a sequin twist and each range can be hired separately or together. we sell a wide range of wedding accessories to suit every budget the only thing we dont sell is the dress-yet! OMG, covers the midlands area. We provide a fine range of Party equitment which is all avaliable for hire. The range includes inflatables, photo booths, wedding decorations. Champagne and Tiaras is a wedding decoration hire company with beautiful and very unique collections that are perfect for your barn or marquee venue. High quality personalised wedding napkins. We specialise in providing beautiful, unique and on trend wedding decorations for hire, so you can create the perfect day that truly represents your style and personality. The Rustic Bunting Company provide handmade bespoke wedding decorations, full venue styling and small prop hire throughout the East Midlands & the UK. We are wedding decorators covering South Wales providing chaircovers, bows, centerpieces, vintage items, sweetie cart, post boxes and we specialise in vintage and rustic items. Welcome to The Final Flourish - Oxfordshire based centerpiece hire and venue styling service. Professional and friendly styling service for every type of event. Em's Teatime Treats brings you handmade fudge, chocolate, jam and chutneys that make perfect wedding favours! Finest quality helium balloons,wedding confetti balloons,meeter greeter balloons,confetti, ribbons,helium,weights, hi float,wedding dress and morning suit balloons. Come take a look at our massive range all sent to your door. We provide wedding decorations for hire in shropshire. Our range includes chair covers, sashes and hoods, sequin tablecloths, candelabras, table decor, props and much more. Mr and Mrs lights marquee style and sweet cart to hire for £150 , also new i flower wall, blackboard selfie station and possible s twilight backdrop plus postbox. Classy Wedding Decoration Service. Chair Covers Balloon Decor Venue Decor Any where in London. Diamond Weddings offer a distinctive range of premier Asian and Indian wedding decoration services. At Mimosa we specialise in creating bespoke and stunning wedding designs and atmospheres. Hire of goods or full design service available. All budgets and time frames considered. 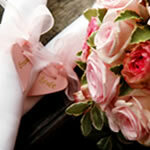 Spaarklerz is a family run business primarily creating bespoke wedding decorations, bridal flowers and accessories. Hullaballoon...Suppliers of Balloons & More For Your Wedding In Hull & East Yorkshire. Craft your own wedding decorations like a true artisan with our DIY Wedding boxes. Every box includes all essential materials and simple instructions to create wedding gems. Prestige Postboxes supply traditional Royal Mail style post boxes for wedding guests to leave their cards in for you on your special day. Pretty little extras offer a unique occasion hire and styling service. We offer vintage china hire, bunting, vintage bicycle, milk churns, crates, signs and much much more. Here in the heart of Devon we grow delphinium flowers and dry the petals to produce natural biodegradable wedding confetti. Winners of Best Event Designers in Essex 2012 & 2013! We provide chair covers, table linen, centrepieces, backdrops, lighting, fresh and artificial flowers & so much more! Welcome to The Final Flourish, based in the heart of Oxfordshire with an eye for detail and a passion for perfection! We are a wedding planning & event styling company. 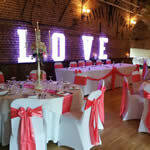 We are a wedding styling and decoration company based in Essex. Our services include: chair covers, chair bows and sashes, centrepieces, table linen, sweet tables and much more. We provide wishing tree centre pieces for weddings, anniversaries, proms, etc, from as little as £30 per tree. We cover the East Anglia area with a 4 tree minimum order. Specialising in Balloon&Wedding decor Including:Sweet Trees,Sweet Buffets,Personalised Love Hearts&Party Poppers.Chair covers&sashs.Discounts on bulk buys. FREE samples available. Abracadabra Starlight Solutions are suppliers of Wedding Starlit Backdrops. Our back drops are quality designs manufactured in the UK. We offer a range of sizes to suit clients. The Airstream is 34ft long and capable of sleeping 6. It has been refitted in a tasteful 1950's style. Add some retro glamour to your special day. Decorations and Celebrations can provide quality chair covers and sashes with table centrepieces and decorations which can be tailored to match your theme/colour scheme. Event decor for all occasions. Our services include Balloons,Chair Covers,Bespoke PostBoxes & floral designs We create anything from modern elegant designs to show stopping features to Wow your guests! GlassPebbles.co.uk We supply glass pebbles in all colours, sizes (S,M,L) and shapes (hearts, flowers etc. ), coloured sand (white, pink, gold, silver etc.) and coloured candles. Couple Dream International Limited is reliable manufacturer of cake decoration and wedding products supplier including wedding favors, wedding accessories and gift items. We can source every item that you imagine to make your wedding day the most spectacular that it can be. No matter what the style, location or budget we can help. Bespoke table centerpieces and massive selection unique decorations, we are determined to make sure every couple's wedding day looks and feels exactly how they imagined. Specialists in spectacular wedding decor, our highly trained team can create the perfect atmosphere for your wedding or any event. From elaborate dance floor canopies & exploding balloons to simple table decor. Balloon Decor specialise in elegant balloon displays in elegant dinner party, birthday party, a wedding reception, corporate events or a fun theme night. Chair Cover Hire and Venue Dressing service across Manchester, Cheshire and Lancashire. We have some great packages available, please contact us to discuss your requirements! We sell all types of ribbon in full rolls and by the metre, including satin, curling, grosgrain, sheer, satin, gingham order from our secure website www.loveribbons.co.uk and delivery to all of the UK and Ireland. Our Wedding Packages include everything you need for your special day; wedding flowers ,cakes, wedding stationary, table & ceremony decoration etc for a one off package price. Horseshoe Weddings have a selection of wedding essentials for hire at both church and venues, with free delivery to Derbyshire, Nottinghamshire, Leicestershire and Staffordshire. Balloon decor for venues/events. Each of our wedding packages can be tailored to suit your and your big day. We have many decoration choices to suit every budget and style. With over 15 years of experience decorating weddings and special events we offer stunning & classic balloon and flower decor, table centrepieces, chair cover and linen hire service, topiary tree and plush red carpet hire. All of your decorative needs under one roof. From Centrepieces, Dancefloors, Light up letters, Photo Booth, decorative trees, candles, arches and much more! Balloon Wishes transform venues and make them truly magical. Our Services include Balloon decor and chair covers.Our consultation service is free of charge and we will bring along our portfolio of work and ideas. Portable white LED dance floor hire in and around London! Offering different shapes and sizes to suite your needs! Light up that special occasion.... Suppliers of light up letters, signs and props for weddings and other celebrations at affordable prices. Beautiful folding tables and chairs, bars and decorations. A great choice to give that bit of vintage chic! For people who want more personality at their party! Whether it's chair covers, table decorations or 'talking point' displays, at Christina Jane Events we like to join our creativity with you to achieve amazing results. From a small party, to a grand wedding, we provide a quality hire service. ​ We stock a wide variety of lighting and sound equipment, drapes, carpets, and props. Rio Lounge are chic and stylish event furniture hire specialists. Our team deliver to locations all over the UK. Relax and let us bring brilliance and sparkle to your venue.